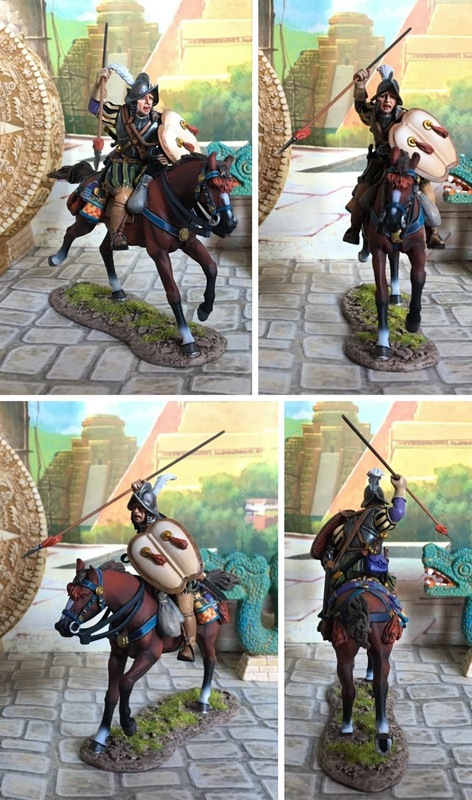 JJD have started releasing their conquistadores to go with their Aztecs and they are fantastic models. I'm starting off showcasing them here with one of my favourites, the first cavalryman. The conquistadores invaded the New World under the guise of spreading the Catholic faith. In reality, they were a bunch of irregular adventurers, with a thirst for gold. They were the first to introduce horses to the native people, which were, at first, believed to be a fusion of man and beast. 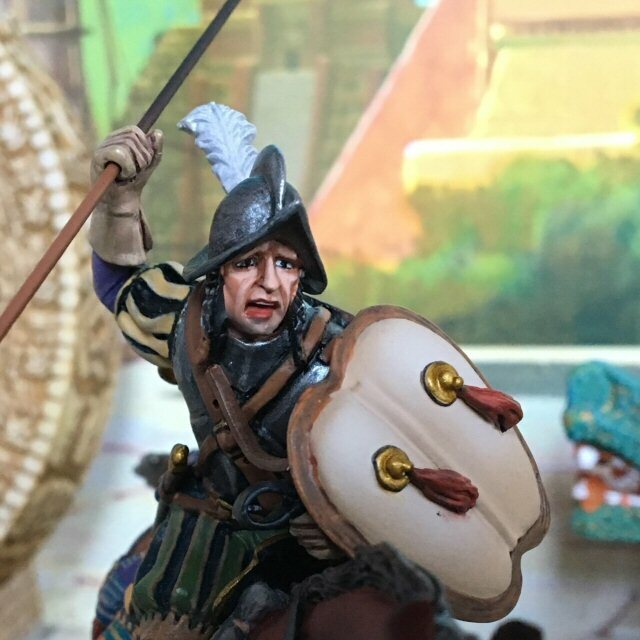 This gorgeous model is a prepainted 60mm figure from John Jenkins designs and the amount of detail and quality of the paint is amazing. This is rapidly growing to be one of my favourite ranges. That certainly is a beautiful model. I look forward to further posts. Thanks, I have a few more of these to post up, once I can edit the pictures. Lovely models! I particularly like the brief legend to go with them! IHMN vs. Pulp Alley vs. Larger than Life?